At Pure Oasis Medi Spa, eyebrow and eye lash tinting is a treatment in which a hint of semi-permanent tint is used to make light brows and eye lashes darker. We offer this service to any client interested, but recommend it primarily for those with lighter eyebrows & eye lashes. If you live in or around the Ancaster, Hamilton, Stoney Creek, Binbrook, Caledonia, Hannon, Burlington or Dundas area, we encourage you to visit our medi spa. Pure Oasis Medi Spa is a luxurious experience! Situated on the border of Stoney Creek & Hamilton, this medical spa offers facial treatments, pedicures, manicures / nails, massages, eyebrow & eyelash tinting and hair removal wax treatments. Take a break from your busy life, and join us at Pure Oasis Medi Spa, a nail salon, massage clinic & hair removal service all in one. 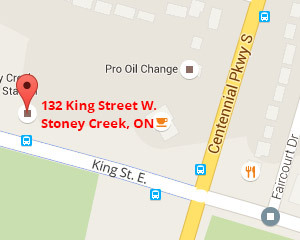 Pure Oasis Medi Spa is located between Hamilton and Stoney Creek prodiving spa services for customers in both cities. We are an upscale spa that doubles as a nail salon. @2015 Pure Oasis Medi Spa - Stoney Creek, Ontario. All Rights Reserved. Website designed and optimized by Vision Design.